The following post is sponsored by Neutrogena. For our sponsored post policy, click here. There are a TON of sunscreen options out there. Just walking down the aisle at the drugstore and seeing row after row of bottles can be totally intimidating. Not to mention that a lot of sunscreens have a lot of big words on them and there’s a lot of talk about what sunscreen is best — or even if you need that much sunscreen at all. You almost need a degree to decipher it all! But we’re here to tell you that sunscreen is safe — and necessary. A whopping one in five Americans will develop skin cancer in their lives, even though skin cancer is one of the most preventable cancers. Not to mention crazy sad stories like this and this that just show how important sunscreen is to our health. No matter what sunscreen you choose, one of the most important things you can do for your health is to protect your skin from those damaging UV rays. We’ve written about it before — and we are passionate about skin health and sun safety. That’s why we love this video featuring Dr. Joshua Zeichner, NYC board-certified dermatologist, for the Neutrogena Choose Skin Health campaign. In the video, you get straight answers from a skin care expert. 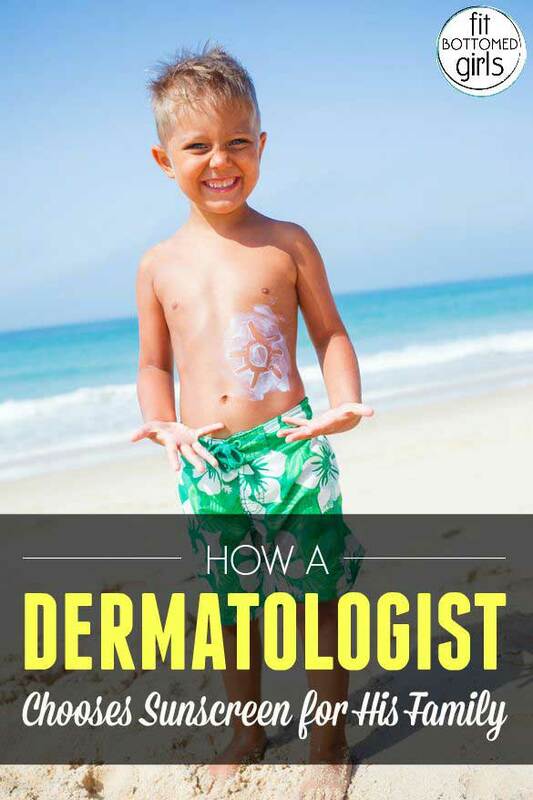 He shares how he shops for sunscreen for himself and his family, along with tips for how you can navigate all those bottles on the shelves to find your perfect sunscreen, and even how to apply it correctly. So watch the video below (or here!) and get tips to stay safe and healthy this summer — and year-round. This is not just yet another sunscreen awareness video. The risk is real, and being diligent about sun safety is as important as ever! Now that you have the facts, see how you can share your #ChooseSkinHealth story and read others’ incredible journeys and thoughts here. And most of all, be sure to share the video with your family and loved ones. By educating ourselves and one another, together, we can end the summer on a safe note and keep ourselves safe all year long! Ugh, sunscreen can be so complicated! I like using the Shiseido SPF 50 solution! I learned there is no proven data showing harmful effects of some of the sunscreen ingredients like oxybenzone. I keep tabs on it as a nurse and for my own info and I agree the risks of not applying it and increasing your chance of skin cancer is clear. I struggle finding sunscreen that is compatible with my makeup, and not too costly. They can be expensive but guess your skin is worth it, right?! Look for a trusted brand of sunscreen, labeled as broad spectrum, and look for specific ingredients. My dermatologist recommends Neutrogena Broad Spectrum spf30, so that’s what I’ve been using.